The WordPress Gutenberg Editor will revolutionize the way users think about creating and editing content. It is assumed to give a strong competition to all the famous page builders. Gutenberg is set to replace TinyMCE. Are you up with it? WordPress has grown remarkably over the past years. 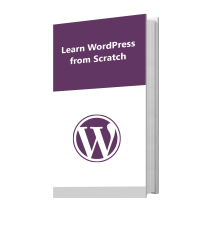 One of the benefits working with WordPress is that it’s updating continuously. Recently, the new WordPress Gutenberg Editor has evolved as the hot topic among the WordPress lovers. 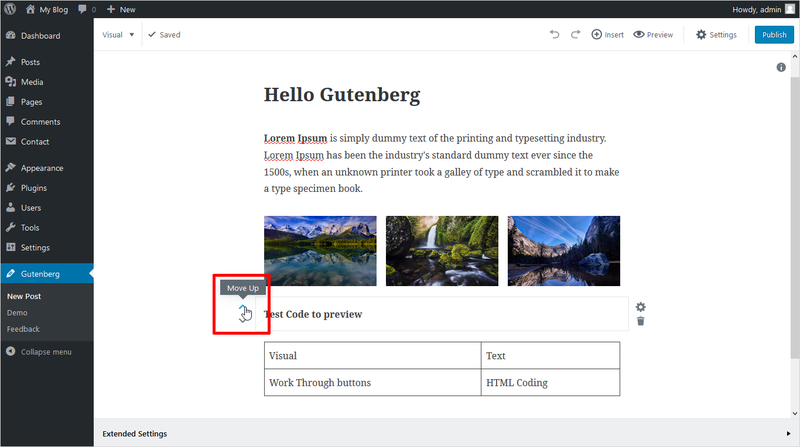 You must have heard that the new Gutenberg Editor is now available as a public beta Plugin on WordPress.org plugin directory. The plugin is not ready for production sites. But, it is available for checking compatibility or any other work issues. Here at Templatetoaster WordPress website builder, I will try to cover all the related news, development and future of this new WordPress editor. So, Let’s get started. What is the need for a new WordPress Editor anyway? WordPress already has a visual editor. So, the question arises, What’s the need of a new editor? The existing visual editor utilizes shortcodes and HTML to make things work in text mode. In visual option, you can format the content through buttons. But it definitely lacks in functionality as compared to modern editors. That is why the WordPress aims to provide a simple and enjoyable way to produce rich content. Gutenberg Editor is a good initiative, especially for those who are just starting with WordPress. Gutenberg editor is completely a new espouse over the one long input box visual editor. It is divided into individual blocks. Each block can be assigned unique features. So, it’s far easier to manipulate and align each piece of content now. It will provide new advanced technology. The block concept is not new. What’s new is – being part of the core WordPress. The first step towards Gutenberg involves installing the Gutenberg Plugin. It will require WordPress 4.8 or above. You can download its latest version from WordPress Plugin Repository. You can also find it in WordPress Dashboard under Add Plugins section. It already has 2000+ active installs. Once you installed it, you can see the Gutenberg option under your posts. It doesn’t replace the visual editor as it’s in testing phase only. It’s a good thing. As per its latest update, it is also available for pages and custom page types. You can also navigate through WordPress dashboard. It also shows a Gutenberg option to open up a Demo Menu. Once you start, you will see block outline and formatting options. Working with this is quite similar to the visual editor. You will automatically put to block as soon as you start typing. The options will also disappear once you start writing. It gives you a distraction-free environment to write with extra space. It’s awesome on smaller screens !! Gutenberg editor offers you “Post Settings” to remove the right-hand sidebar. This will probably give you more space. You can also add new blocks from the Plus button ”+” given at the bottom of the editor. You can add any type of block including Text, Galley, List, Table or Image etc. accordingly, you will get options to customize your new block. For example – Suppose you create an image block. You will get options regarding inserting image, editing the image, resizing options, alignment options etc. There is an option to switch between visual editor and Text editor. You can see a drop-down option in the top leftmost corner. You can make choice between visual or text here. If you selected the Text mode then you can add the new blocks with HTML code. You can see these in beginning and end of a block. Gutenberg editor, lets you to add many different kinds of blocks: Image, Table, List, Quotes, Text, Gallery etc. You can easily drag & drop the images in an Image block just like in visual editor. It will give you many options to insert, edit, align, resize, adding links to the images. You can also add the additional CSS to these blocks. You can now add a table block easily in Gutenberg editor. Though it requires the HTML code or some plugin in the previous visual editor. Now, you can add a table with a single click. Currently, you are able to add just a 2X2 table and to format it you need to go in text mode. Hopefully, WordPress will provide liberty to add multiple size tables with extra functionality in the final release. It is a pretty cool feature of Gutenberg that you can preview your HTML code from right within the block. You can call it a Live HTML block. There is no need to switch between visual and text modes for this. Gutenberg editor is providing many kinds of inbuilt blocks. It also added a recent block option to speed up the process of adding blocks. You can easily move around the blocks. You can rearrange a block with up and down arrows next to each block when you highlight it. There are also options in the sidebar to delete or change the settings of a block. There is a good option of the table of contents in the sidebar. It helps a lot in case of long-form content. It shows a list of clickable links that you can use to jump into any part of your article. So, you can move freely around the post. Similarly, Gutenberg is offering an anchor tag. With this, you can link to the header or any other part of the post. This is great for sharing and switching to SERP menus point of views. Embedding media is super easy with Gutenberg Editor. Whether it be YouTube, SoundCloud, Hulu, Flickr, Imgur, Twitter, Slideshare, Reddit, and much more as shown below. Though you could embed all of these before this was not mentioned in the visual editor. Gutenberg gives you the inbuilt option for adding simple buttons. Bloggers and publishers need it as looking for easier methods to add a call to actions. Before this, HTML code or Third-party plugins were used in place of it. There is a good addition of undo and redo buttons in the Gutenberg Editor. You need to frequently undo the changes you did and to repeat the actions you undone shortly. You can easily do this with undo and redo buttons. Gutenberg editor introduces many options for cover text and visual styles. You can change the font size, color with custom color palette component and turn on the drop cap etc. You get the ability to autocomplete insert the blocks. You use slacks from the keyboard to cut down the mouse clicks for easy formatting. Suppose, you type heading- it will automatically start inserting a Heading text. Likewise, you can use slacks for image, gallery and other embeds from a list. What can be better than a combination of embed options, new alignments, anchor support, a new block experience !!! Gutenberg editor seems to be a mover and shaker in the market with lots of new additions and improvements. Let’s chalk out the positive points of the all-new Gutenberg WordPress Editor. Publishers may love the newer editing block-style experience. Non-reliance to TinyMCE is a good thing. The tight integration of core, theme developers, plugins, and editor seems more promising. Gutenberg Editor is providing a distraction-free interface with more space. It has a great response on mobiles. It will be great to work with blocks. The new alignment options are a step forward for full-width templated and responsive sites. Gutenberg offers a wide range of media embeds with more ease. It seems to provide more flexibility with different layouts and content types. Gutenberg is missing the markdown support that makes the TinyMCE a quicker writing experience. Hoping to see Markdown support in the final release. No support for columns. Gutenberg is consuming a single big column content layout. The basic column support will make the writing experience good in the core.It may be hard to learn using Gutenberg WordPress Editor. It may be hard to learn using Gutenberg WordPress Editor. It doesn’t support custom plugin meta boxes. But it is an obvious delay as plugin developers may start testing integrations with Gutenberg Editor. It is also promised to come in the future release. Copying the outside content is just out of question for Gutenberg. As all the formatting is lost, once pasted into the text block. Gutenberg should support the theme stylesheets to predict the frontend results. For example, the dynamic colors that a theme support in customizer would also be reflected in Gutenberg as well. Backward compatibility puts a big question mark on Gutenberg. Where will the millions of post go that are written with TinyMCE? Not only the WordPress users, it will also affect the workflow of developers too. Maybe some wrapper will come with TinyMCE backward compatibility! WordPress Gutenberg Editor is about to reach a milestone in a technical and design vision. It has covered a long way yet a lot is left to come. You can see the milestones of Gutenberg life cycle along with the final destination to meet. Gutenberg is not going to release until the team working on it agrees. As there is a lot of work needs to be done in the documentation, translation, marketing efforts along with fixing the issues. WordPress 4.9 will come by November 2017. So, the final edition of Gutenberg may be released somewhere around 2018 with WordPress 5.0. Gutenberg shows a long curve of development from its first version 0.1 to 1.4 till now. Each version includes a long list of updates plus some main additions. So, here only the main add-ons are being highlighted. For details, you can refer the Gutenberg Development. New reusable Dropdown component added. Partial URLs are allowed in link input. Initialization actions merged into a single action. Fix scroll position is introduced for reordering blocks. Resolve block conflicts in the classic editor. Added slash autocomplete for blocks. A shortcut for adding new blocks without leaving the keyboard. Ability to change font-size in cover text using slider and number input. New documentation app to serve all tutorials, faqs, docs, etc. Added support for linking to a url in image blocks. Alternate Table block added with TinyMCE functionality for adding/removing rows/cells, etc. Gutenberg 0.1 (June 2017) – This was the first release of Gutenberg WordPress Editor. Matt Mullenweg announced at WordCamp US 2016 that he wanted WordPress to have a renewed focus on the post writing experience. He admitted that content editing has changed and evolved a lot over the years while the WordPress editor has changed relatively little. So later, in 2017, Gutenberg editor plugin was released. Though my experience with Gutenberg WordPress Editor says that it really exhibits some promising features. The block design is a revolutionary step to compete with other successful page builders. As Gutenberg is still in development phase so to judge it strictly, will be unfair. No one can predict future but definitely, with Gutenberg, a wind of change can be felt. But have you tried Gutenberg Editor? What do you want to say about your experience? Could it successfully replace the existing WordPress Editor? Share your views here – Good or Bad. We would love to hear from you !! 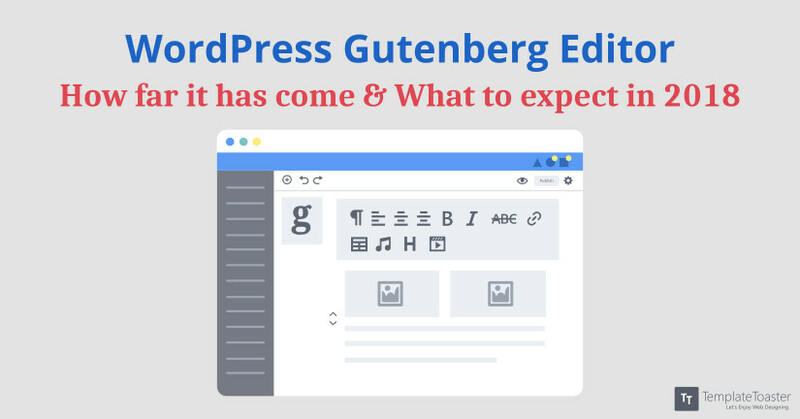 Hopefully, Gutenberg will soon appear with WordPress !! As discussed, Gutenberg is a step in a direction to produce rich content sites. 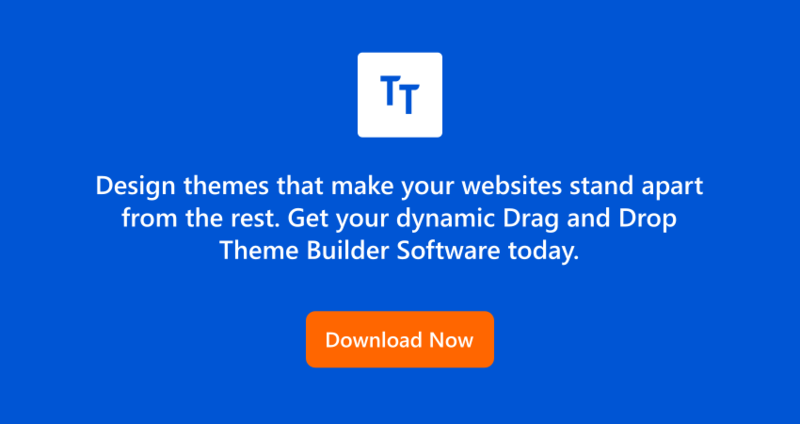 If you are also looking to create fresh themes in WordPress, you can use TemplateToaster. It is a well-versed website builder Software. It provides you with all the advanced features to create a WordPress theme in minutes without coding. Even, you have the option to export a WordPress theme with content. And, surely it deserves a place in your development toolkit.